It's my Sixth Blogaversary today! 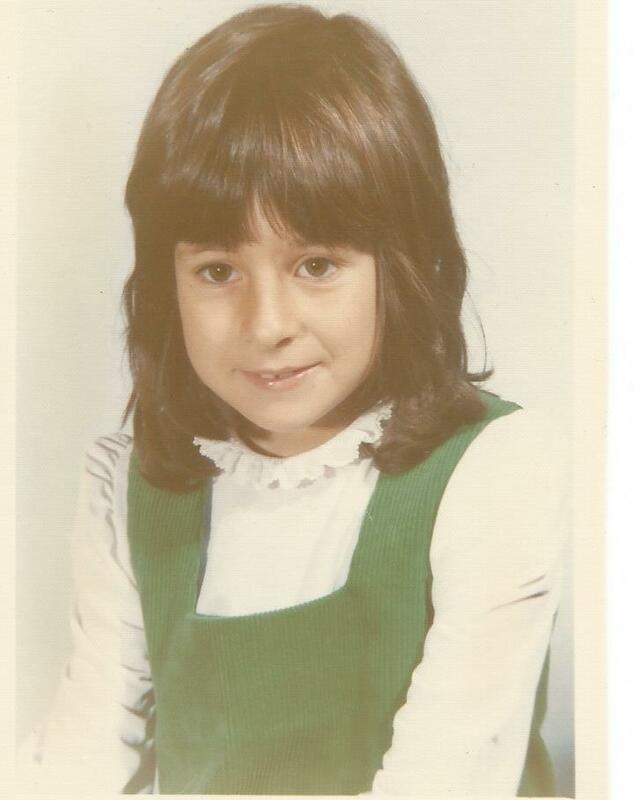 I remember being six quite well, I was in Miss Pearce's class and I got a Timex watch with a red face and a blue strap for my Birthday. I got the watch because I could already tell the time and Miss Pearce often used to ask me what the time was because her watch didn't keep time well! We had been living with my grandparents and were moving into a house of our own. 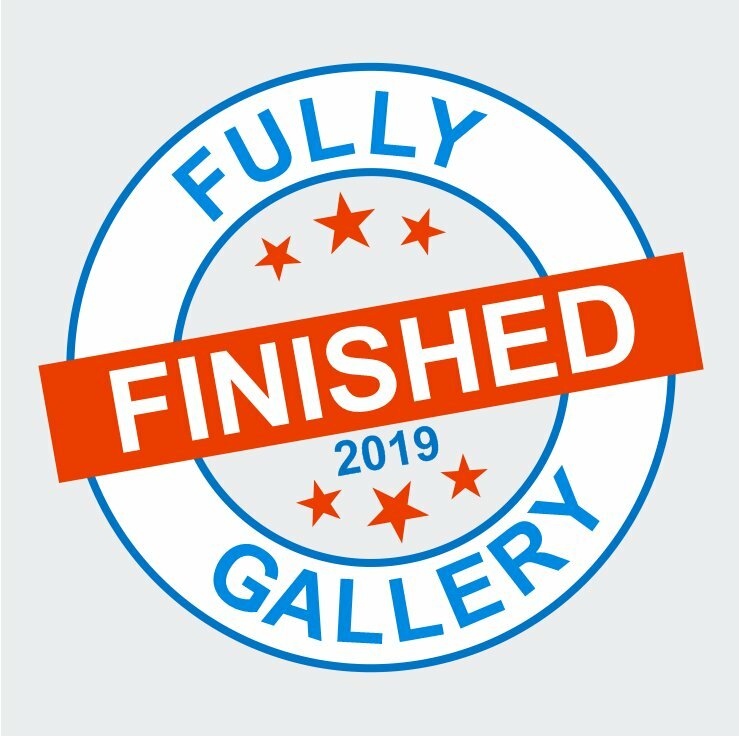 A little check of my Happy Dance blog tells me that I have completed 372 pieces since the start of my blog. That makes my couple of dozen WIPs pale into insignificance! Now for the fun part - a giveaway to celebrate! I haven't got anything in particular in my stash I want to part with at the moment and postage is so high right now so I thought a PDF would be the best idea. The one I have chosen is quite versatile, it comes in 9 parts and can be stitched as a large sampler or several smaller ornies. Best of all, proceeds from the sale go to charity. Four parts have been released already so I would send them to the winner straightaway and then send each piece as it is released throughout the year. The giveaway that keeps on giving! Have you guessed what it is yet? The nice thing about this prize is that if you already have the first four parts then I can still send you the next five, you don't have to miss out just because you've already started it. So how do you enter this draw? The usual, be a Follower via the button on the right, leave a comment here saying you'd like to be in the draw AND telling me what your favourite quote is. It doesn't have to be one from the Stitchrovia SAL, it can be anything you like - serious, inspirational, funny, subversive etc. Linking up for Gifted Gorgeousness this month. So the Giveaway is open until the 30th April when the GG link-up closes. If you do not comment here with a quote, you will not be entered into the draw, even if you do the other stuff, they are for bonus entries! If you don't want to stitch any of the Quotes, you may nominate a person from the other comments to be gifted the chart on your behalf. You can do this publicly by commenting or anonymously by emailing me. Finally, we have another Blogger on the Blogger of the Week blog, don't forget to go over and say Hi! Who is it this week? Happy sixth blogversary Jo ,here's to many more. I like your personal embellishment on Mulberry. I would like to join your giveaway and my favourite quote is "Waste not,want not" I use it less often these days but I grew up with my mum and my grandpa saying it to me,in fact my mum had a quote for almost every occasion and I automatically think of them in any given situation..they make me smile. Happy blogiversary! I love your embellishment on the mat, sweet full finish. The Halloween piece is so cute, fun stitch too as I recall. Happy Blogversary Jo. 6 years is brilliant and I'm most impressed by all those finishes. Incredible! I think my favourite quote is from Gilmore girls and "Oy with the poodles already" it's basically nonsense but always raises a smile. if you asked my kids it would be "it'll only end in tears!" I'd love to enter your giveaway. Happy blogoversary. Thanks for the giveaway. My favourite quote is laughter is the best medicine. Your frame looks cute. All your cross stitch pieces looks beautiful. Good progress. Do count me in for your giveaway. Happy Blogaversary, Jo!! I've been keeping a watchful eye on your 12 days, and it's looking great! I love the Halloween piece too...you are really coming along well on both. Your finish is just lovely, and the little drawing in the corner of the mat is the perfect finishing touch! I love the idea of your giveaway...and I would like to take part. So...my quote (with the author attached) is... "Don’t let the noise of others’ opinions drown out your own inner voice. 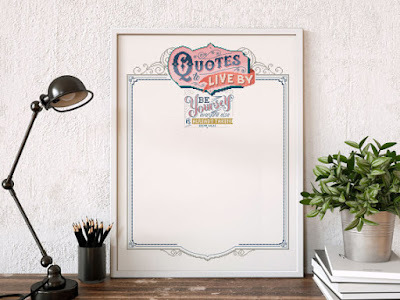 – Steve Jobs" But my favorite quote (but I don't know the author of) is... "Never be afraid to try something new… An amateur built the ark that lasted forty days and forty nights; professionals built the titanic that sank." And a final note, I sent an email but haven't received an answer yet. I'm ready to pass along Renouveau, so please send your address! Thanks again for the opportunity to take part in your giveaway! Happy blogoversary, Jo, and thanks for the birthday greetings. I love the quotes SAL; hopefully you'll draw my name on April 30 as a late birthday gift :0). Since I hit double 6's today, I think I'll choose "Getting old isn't for sissies!" as my favorite quote, lol. It's certainly true! Congrats on your six year blogversary! Happy sixth year in blogland dear Jo!And thank you for inspiring so many people (among them me) to be more creative, to stitch more, to do more things with our stitching ! I would love to take part in the drawing please! I am a follower of course and I am taking part in the Easter Treasure Hunt! My favourite quote is "Love is patient, is kind,.....it always protects, always trusts,always hopes, always perseveres." Lately with everything happening around the world I think of these words more and more. You don't have to be religious to trust in Saint Paul's words. Thanks. AriadnefromGreece! Awesome progress Jo. Love the piece you framed. Happy Blogoversary. I would love to be entered in your giveaway. I would have to say Have Patience With Yourself. I have none but am working on it. Congrats on your anniversary! Wish I had kept better track of all my finishes. Maybe I would not be so discouraged with all my WIPS! Happy birthday to you and your blog! It has been wonderful following your projects and joining the blog hops you have organized. Congratulations on your blogaversary Jo! :D I like " Use it or lose it!" No need to include me in the draw my friend! Congratulations, and happy 6th blogversary! All of your pieces are looking wonderful. I really enjoyed the new parts of your Halloween piece. And of course I'm still in love with the 12 Days. I would love to be entered in your give away. My favorite quote... from the Wizard of Oz... After Dorothy asks the Scarecrow how he can talk if he doesn't have a brain... "Well I don't rightly know, but it seems some people without brains do an awful lot of talking, don't they?" So true! You were a cute little 6 year old. You have lots of achievements in both stitching and in blogland!! Happy 6th blogaversary Jo. Thank you for making blogging so much fun and all the effort you put in with the blog hops . Wow your hair is so dark in this pic,I'm guessing that's your natural hair color. The blog stats are amazing and a lovely finish for blogaversary post. My favourite quotes are " You are responsible for your own happiness" " This too shall pass" . Infact these are lessons, life has taught me. I will come back to you if I want to be entered in the giveaway or not. Stitchrovia is a beautiful SAL with great sentiments. The frame is gorgeous! Lovely progress on the Halloween and Christmas pieces! Happy 6th Blog birthday. I love how you personalised the frame for your Mulberry design. I'm pleased that I've found your blog as you have an interesting selection of stitching and your blog hops are so enjoyable. Happy blogversary!!! Ohhh!!! so cute little girl 6 year old!!! 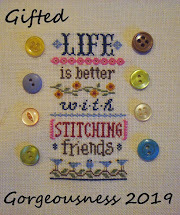 happy blogversary...love your post and all the lovely stitches. Happy Blogversary. Thank you for all you do for the blogging/stitching community. "I have a dream that my four little children will one day live in a nation where they will not be judged by the color of their skin, but by the content of their character" Martin Luther King. Wohoo Happy Blogversary!! I love that pattern you are offering. If I won I would stitch them as individual projects and make them into pillow type decorations. Let's see my favorite quote...“I think the saddest people always try their hardest to make people happy because they know what it’s like to feel absolutely worthless and they don’t want anyone else to feel like that.” by Robin Williams. I really believe it a lot. I love your stitching and the hand drawn mulberry is just PERFECT!! Happy blogging! Here's to many more years! Happy blogversary!6 years, and what an amazing number of projects finished!The mulberry sprig on the corner of the frame is such a neat way to personalize that project. Congrats on your accomplishment Jo! So proud of you and I look forward to many more years of your posts! Happy Blogoversary, wow! 6 years is a long time, especially with such an active blog as yours. Definitely keep thinking about all those finishes to keep your WIP list feeling sanguine. My favourite quote... when I was younger "Semper ubbe sub ubbe", now "Don't let the turkeys get you down". Please enter me in your giveaway; rt's amazing timing, since I just discovered this designer and the SAL last night and fell in love with it! The "have patience" part really spoke to me. 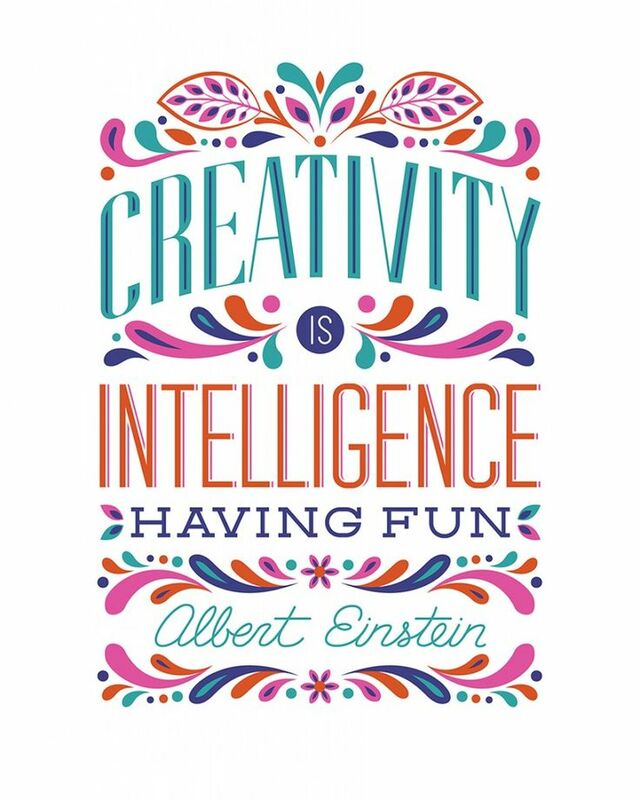 As for other quotes, I've always liked this one by Albert Einstein: "Creativity is Intelligence Having Fun". I'm looking forward to making like a bunny and hop-hop-hopping along at your Easter Hop! Happy, happy Blogaversary dear Jo. Such a wonderful blog written by a wonderful person. Please count me in the Giveaway as I have been eyeing that design off since you started it. One of my favourite quotes is by Omar Khayyam. It always gives me goosebumps! Sweet little Mulberry you drew on the frame, I like that idea. Congrats on your sixth blogaversary. Your Mulberry finish is quite stunning. OMGoodness, what a cutie! Happy Sixth Blogaversary, you've been quite busy! Congratulations on 6 years of blogging! Here's to many many more. I have already started this SAL! Please don't enter me into your giveaway as I already intend to buy all the charts and if someone else wins the charity will get more money. My favourite quote is "Do unto others as you would have them do unto you" - if we all followed this advice the world would be so much nicer! Hi Jo, what a great anniversary to share with us all. 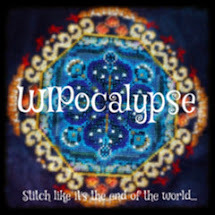 I started mine in Feb 2013, but in the last 9 months life has really knocked me for 6 - a husband who ended up having bowel cancer surgery kind of took the wind out of my blogging life as well as a lot of my stitching time! Hopefully he is now on the mend (fingers crossed) and I can go back to reading your blog regularly. 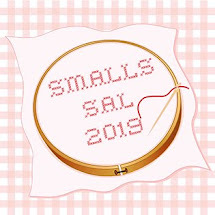 I did look at the SAL piece earlier this year, but decided it would probably gather dust as I had so little me time, but I'd love to enter your giveaway please. My favourite quote? "When life gives you rain - play in the puddles (but wear your wellies!" or as an alternative one - "Growing older is mandatory - but growing up is optional!" Congratulations on six years of blogging! Well done you! Wow 372 finishes ..... that is some record! I think my quote would be "You can make a difference! ", but don't include me in the draw ..... I don't know which project to work on first as it is! Tee hee! And I agree with Justine's quote too, it would be a better world! Thank you for all your work with your blog hops, and the blogger of the week .... they are such a fun way to get to know people! I don't know for how long I've been following here but I sure know it's has been so fun to read and always a delight to admire your stitching :) Keep up with your awesome bubble space!!! Congratulations on six years they do fly by for sure. Wow you have stitched a load of projects. Wow 372. Mulberry is lovely, painting on a mulberry is a sweet idea. Congrats on your blogversary Jo. Love the gorgeous Mulberry piece and the pretty frame finish. Ok, I have decided that I would like to enter blogaversary giveaway(after analyzing how much stash I have, not that I'm sure I will win). The give away sounds fun and at the moment i still like "be kind to dragons, for thou art crunchy when roasted and taste good with ketchup" perhaps not inspiring words to live by but it makes me smile and that is a start. I forgot to mention I would like to be entered into your drawing please! Congratulations on your blogversary Jo and I'd like to be in the draw. Mine is "Don't cry because it's over, smile because it happened"
Congratulations for your blogaversary! Six years, that is quite an impressive time, and you've done and shared so much in those years! And of course, this post again has a lot of awesome progress and finishing. I'm already buying the Charity SAL for myself, so please don't incluse me in the drawing, but it was fun to read everyone's favourite quotes! One of my favourites would be "It always seems impossible, until it is done.". It's most commonly attributed to Nelson Mandela, but there seems to be some dispute about whether he actually said it, and similar notions can be found in texts much older than him. Weren't you the little cutie at 6 and still are. Congratulations on your Sixth Blogaversary Woo HOO! I love your finished piece it's very pretty. I can't wait to see your Halloween wip finished too! It looks amazeballs so far. Happy blogaversary to you and wish you great crafting years ahead!! I like many quotes but can't remember any specific favourites.